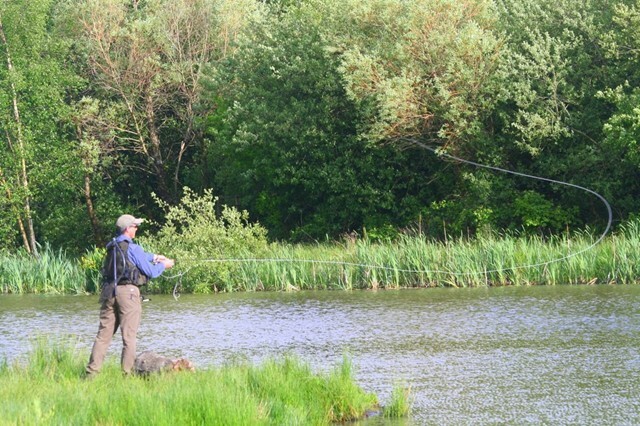 We cater for Fly Fishing and Coarse Fishing at Whitechapel Cottages. 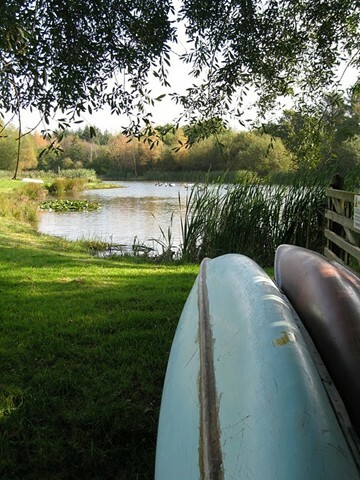 With our very own private lakes, you’re sure to find peace and quiet. Along with our lovely 4 star accommodation, games barn and health suite we’re also well placed for you to try sea fishing off the North Devon coast and fly fishing on Exmoor. 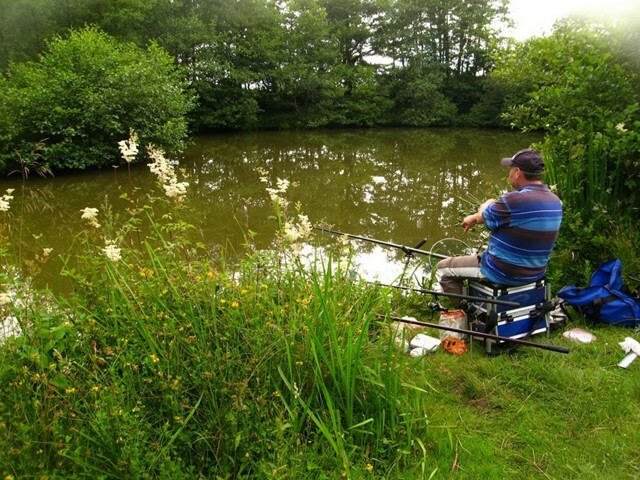 Relax at our two private well stocked fishing lakes, both established since 1982. The Stillwater Coarse lake is just under an acre and is a very quiet, surrounded by woodland and a stream and has a lakeside grass roofed shelter. Its heavily stocked with carp and tench of superb condition. Both mirror and common carp weigh up to 18lb., and tench 3-4 lb. The Stillwater Trout lake is just over and acre and is situated in a sheltered valley bottom, a meadow on one side, woodland on the other. And is regularly restocked with rainbow trout of up to 3 lb in weight, current stock is around 300 1-3lb trout as of march 2012. The lake is regularly re-stocked with rainbow trout 1 to 2 lb in size. Why not catch your supper! 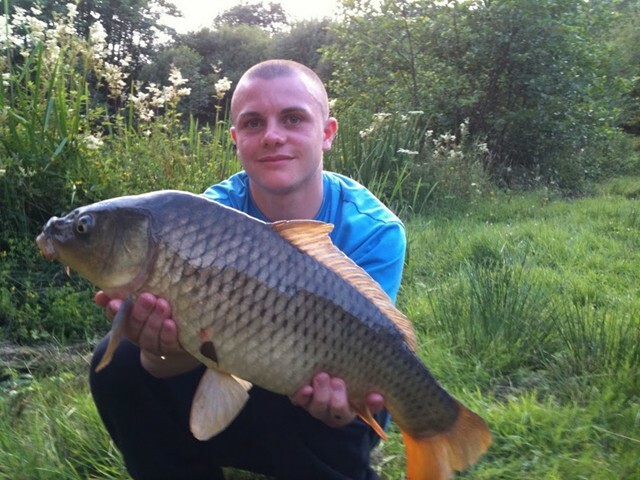 You can now book a lesson with Derrek our local fishing instructor. Derrek holds the AAPGAI qualification (Association of Advanced Professional Game Angling Instructors) and teaches and guides to the highest standard. “Fish rising from end to end. Over the week I checked it from morning to night and they were rising continuously. Every fly fisherman’s dream. After sitting down and watching for about half an hour it became obvious that most of the feeding was going on just below the surface and the occasional leap into the air. The lake is about 3/4 acre, sheltered on the southern, eastern and western sides by a tree plantation and open to the north. The north offers easy casting and you can cover most of the water from here. The other sides of the lake offer more restricted casting but certainly possible with a little care. There is a small island which was occupied by a sitting Canada goose during our visit. My first opportunity to fish was for just three quarters of an hour the following evening after arriving back from a family day out and before the evening meal. I had decided on a 14# buzzer and it worked first cast much to the excitement of my twin eleven year old grand daughters. Not a big fish. About three quarters of a pound but well fed, healthy and giving a good account of itself. Three casts later a nice one and a half pounder followed by one just under a pound to finish off with. This left me waiting for my next opportunity. Each ticket purchased includes the number of fish. No Catch and release. Barbless hooks only. 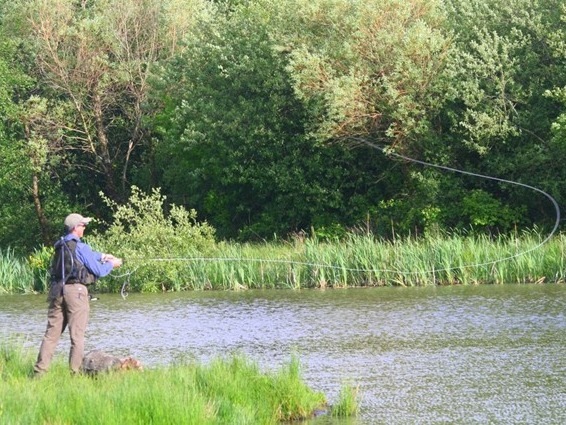 The Coarse lake, has superb pristine specimens of tench and carp, up to 18lb in size. The lake is about 3/4 acre and is verging on the extreme end of tranquility, there is a shelter and a fire basket available. Its about a 5 to 10 minute walk through the woods from the cottages. If you need a hand to access the lake we can drop your kit off at the lake for you. “The lake has an average depth of between 5- 6 feet with a small island, slightly offset from the centre of the lake. Stocked with Tench and Carp, and the occasional eel, there’s something for the kids and adults alike. With a high stock density of tench it’s often difficult not to catch them! Average size would be in the region of 1lb but there are bigger specimens there if you can get past the smaller ones. The carp here are great fun to catch. There are both Common and Mirror carp present. I’m not sure if it is the strain or the environment, but I have never caught carp quite like these. Upon hooking they go absolutely ballistic, quite breath-taking and more reminiscent of a barbel than a carp, in my experience. Often leaping from the water in a sort of salmon-like tail walk!! I have had carp to 8.5lb, but legend has it, there is a 20lber lurking in there. No need for any hi-tech baits here, all of the usual suspects will catch fish: sweet corn, luncheon meat, bread (paste flake, crust or whatever), etc. Fishing rules apply – see notice board on arrival.